A couple of months before it became clear in 2004 that John Kerry didn’t have a clue about how to frame his election bid — “Lt. Kerry reporting for duty,” is the memorably stupid way he started his nomination address — a University of California at Berkeley linguistics professor named George Lakoff (see pix) burst onto the national political scene to remind progressives that the message was everything in public policy and politics. His 2004 book, “Don’t Think of an Elephant!” was a tutorial in message development that was widely shared among very smart and committed liberals who couldn’t understand why a plain talking president who so transparently skirted the truth was going to win the election. I know how hard this idea of framing and values can be for advocates. Within my own organization, which is pretty good at framing and message, it’s still hard at times to make the case. Despite years of stressing the need to think carefully about words and values and framing, about message and messenger, there is a tendency among some of my colleagues to be concerned first about details other than the message, like organizing or holding a meeting or something. Lakoff’s message was direct. Campaigns are won and lost on message. Advocates who set the message agenda and are disciplined about sticking with it — Republicans were great at this until history exposed their hypocrisy — almost always win. If the message agenda is broken, campaigns generally lose. What happened to Kerry is that the Swift Boat Veterans For Truth made a direct hit on his message — a decorated war veteran running for president — and obliterated it. It took Kerry a month to formulate a response and by the time he did, the election was already decided. 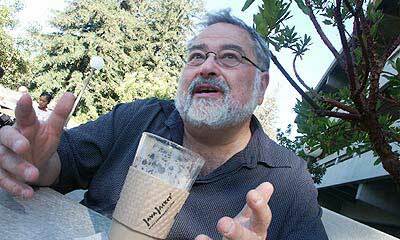 Now Lakoff is out with a new book, “Thinking Points,” that replays many of the message tutorials but also ventures into a new domain: advocating for a four-point strategic policy program that would make America more just and prosperous, and progessives more revered. Frankly, I’m less concerned about what the four strategic objectives will do for progressives, and by this Lakoff means the Democrats. An old friend once told me that we have two parties in America. The stupid party and the evil party. Take your pick. The Republicans could easily embrace Lakoff’s strategic recommendations because at the grass roots, conservatives are just as keen about these idea. But as a marker of how much momentum smart growth and the American Mode Shift have gained in the popular imagination and public policy, “Thinking Points” is a small revelation. Of the four strategic initiatives that Lakoff recommends, two are right out of the Mode Shift play book. The first is establishing a new agricultural production system that provides Americans healthy food. At the Michigan Land Use Institute we call this Entrepreneurial Agriculture because reshaping the food production system to produce healthy fresh food means farmers are more profitable. Communities can conserve valuable ground that adds to rural character. Less energy and no toxic chemicals are needed. People are healthier, making them happier and simultaneously reducing health care costs. “In exchange for growing healthy food for our communities and protecting the sanctity of our earth and commons for future generations we will invest in sustainable farming,” writes Lakoff. Given Lakoff’s standing among Democrats, don’t be surprised to hear some of their presidential candidates talking about these ideas this year and next. By the way, they might also be interested in Lakoff’s other strategic objectives, which are related to the first two. They are clean elections and ethical business. Passed this piece along to Doc. May have set you some traffic, he’s pretty well read.